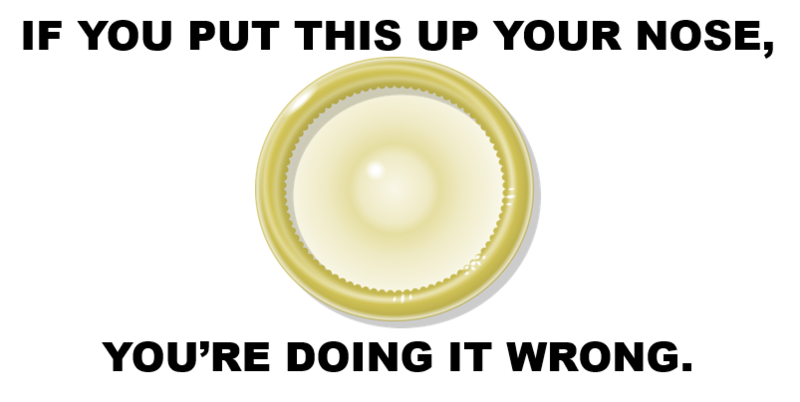 Some people are into it because they think its trendy. Some people think it’s a good way to get attention. Other people see it as stupid and dangerous. (xix) Sturm, Ruger & Co. Mini-14 Tactical Rifle M-14/20CF. Mini-14 Tactical Rifle M-14/20CF Yes Yes 5.56 NATO / .223 REM Ban it…for the children! The black one has a stock that can be adjusted a few inches based on user preference (this is an ergonomic feature). The stock can also be folded out of the way; this makes it easier to store. Why must the black one be criminalized? Hi-Point Carbine Yes Yes 9 mm Parabellum Ban it…for the children! The black weapon is simple carbine. It is an economical personal defense option for those with a limited budget. Personal protection should not be limited to the wealthy. It accepts magazines through the pistol grip, just like most semiautomatic handguns. A Detroit mother used a Hi-Point carbine to protect herself and her children against home invaders (one of whom had a handgun). Gun grabbers want it banned. The weapon with the wooden stock accepts a magazine in front of the trigger. If a handgun did that, the legislation would ban it. The weapon with the wooden stock is exempted from the ban. It is also out of production. They stopped making it in 1999. Thanks for “permitting” us to use a discontinued weapon if we can get our hands on one. Why must the black one be criminalized? 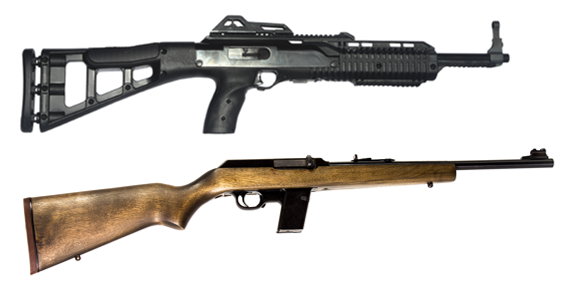 Common Sense Gun Control Advocates, which of these three weapon types was issued as a battle rifle? Common Sense Gun Control Advocates, which of these three weapon types fires the most powerful cartridge? Common Sense Gun Control Advocates, which of these three weapon types was used to end a church massacre? 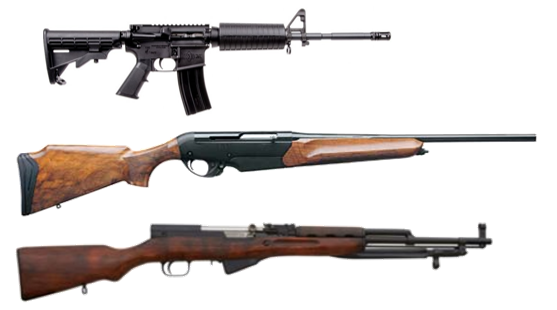 Common Sense Gun Control Advocates, which of these three weapon types was used in an attempted mass assassination of U.S. Congressmen? Common Sense Gun Control Advocates, which of these three weapon types would be banned by the proposed legislation? AR type rifle Yes Yes 5.56 NATO / .223 REM Ban it…for the children! The weapon on the bottom is an actual weapon of war. It is the type of weapon James Hodgkinson (a Bernie Sanders supporter) used in an attempted mass assassination of Republican Congressmen. If the SKS is not on the banned list, why is the AR-15? The weapon in the middle fires a cartridge that is more powerful than the AR-15. If the Benelli R1 is not on the banned list, why is the AR-15? The black weapon on the top is a civilian weapon. It has no three-round-burst capability. It has no fully automatic fire capability. It has never been issued as a battle rifle. Its lookalike military cousins, the M16 rifle and M4 carbine, have. The AR-15 is the type of weapon Stephen Willeford (an NRA Instructor) used to end the slaughter of defenseless churchgoers in Sutherland Springs, Texas. The clever Common Sense Gun Control Advocate can say, “Yeah, but that’s the same type of weapon the church shooter used to kill all of those people. If it had been banned, he never could have killed that many people. Gotcha!” Such a claim can be wrecked by pointing out the shooter (Devin Patrick Kelley) had a record of domestic violence. That record would have prevented him from owning the guns he used if the government had done its job. The government failed. A murderer ran amok. A private citizen ended the tragedy and saved lives. That’s what happened. Leftist people and industries want you to believe the AR-15 is a staggeringly powerful weapon of war, whose only purpose is to kill as many people as possible in the shortest amount of time. Leftists also think law enforcement should be allowed to have the AR-15, presumably to kill as many civilians as possible… in the shortest amount of time? President Barack Obama, Secretary of State Hillary Clinton, Senator Dianne Feinstein, The Center for American Progress, Giffords.org, an array of celebrities, a plethora of academics, a cornucopia of American news outlets, and every Congressman that supported the Assault Weapons Ban of 2018 (they’re listed in the bill) apparently believe Willeford had no right to own the weapon he used to stop the massacre.